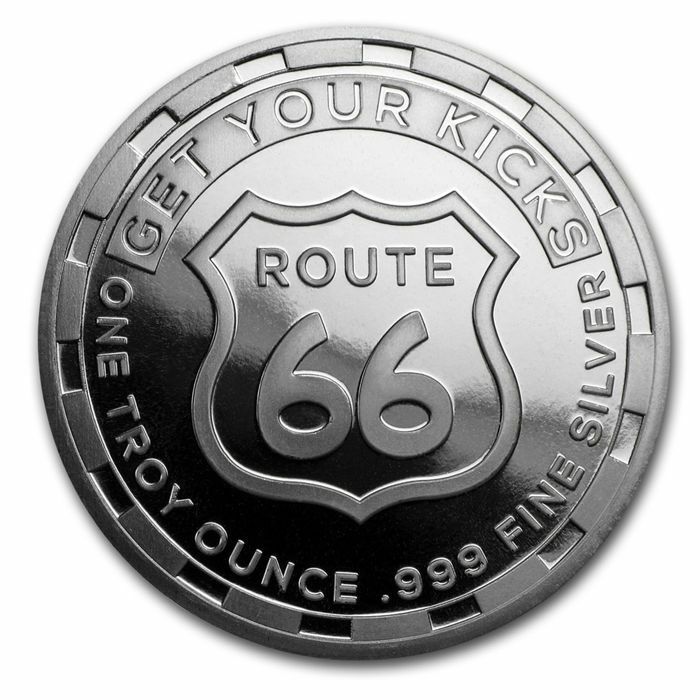 Sunshine minting United States - 1 oz 999 silver route 66 silver coin. Total of 31.1 grams of 999 fine silver. 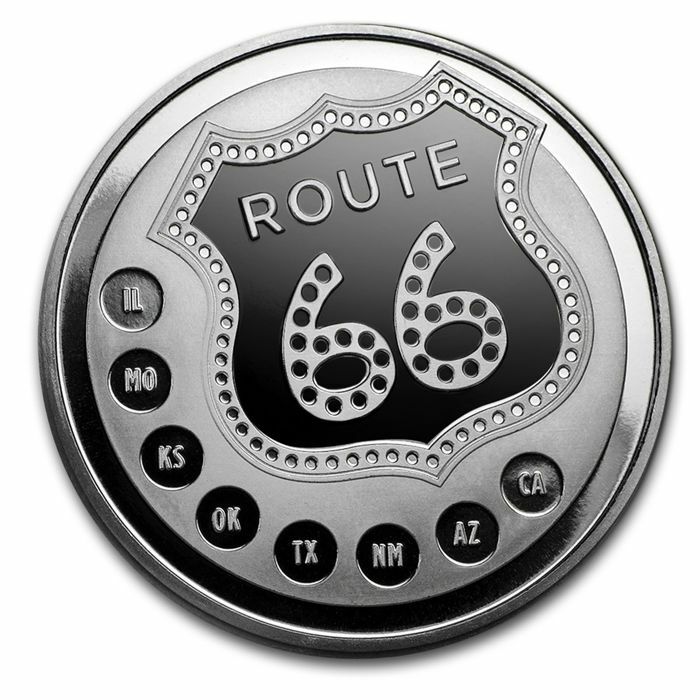 Issued on the occasion of the 90th anniversary of one of the most famous highway in the world, Route 66. 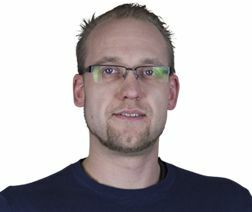 Beautiful opportunity to invest in silver, rare to find on the European market.